A younger guy recently asked me what I think it means to be a man. The fundamental difference between a man and a boy is maturity and responsibility. When a guy becomes mature and responsible, he becomes more of a man. We all have a vague idea of what maturity, or a lack thereof, looks like. 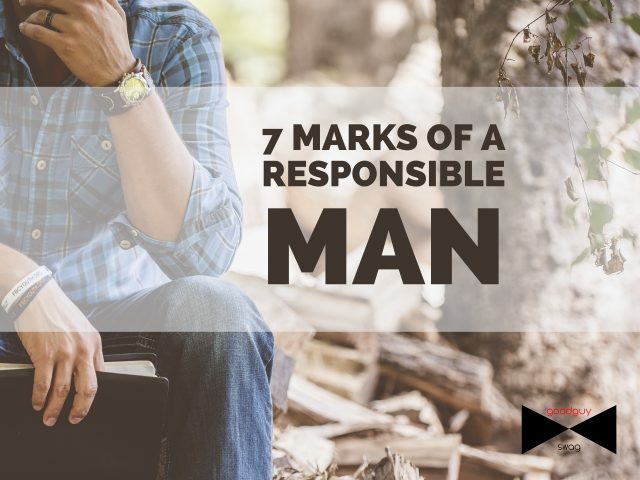 But what are the marks of a responsible man? I take issue with “live like there’s not tomorrow” because it’s used as license to do stupid things without regard to the lasting consequences. More often than not, we do have a tomorrow, so bear that in mind. 2. A responsible man is financially responsible. My coworkers and I often go to hang out and get food because we’re a tight group of friends. But one friend of our is never sure if he can make it because he’s constantly broke. The moment he gets his paycheck, it’s gone, and not spent on necessities. In general, with some of the guys I know, having more than $500 in the bank is considered an achievement. In college this is fine, but financial responsibility starts even now. 3. A responsible man is emotionally responsible. He approaches relationships and life with an understanding that he can affect people’s feelings, and acts accordingly. That’s not to say he tiptoes around people constantly in order to please them, but he makes decisions based on an understanding that people have feelings and people are important. 4. A responsible man can be trusted. If he says he’ll do something then he’ll do it. Both my father and I are the kind of people who will be there if we say we’ll be there. And when other people aren’t like that it frustrates us. Responsible men can be trusted with their word. 5. A responsible man is able to take care of other people. Emotionally, physically, even spiritually. Responsible men are able to guide and provide for the people under their care. 6. A responsible man can take care of himself. This doesn’t mean that he should lone wolf it all the time and never accept help. It means that, when left to his own devices, he’ll still be able to live well without constant dependence on others. …especially when he makes mistakes. This is probably the hardest for me because it requires laying down my pride, and I can be a pretty prideful person sometimes (just ask my family). But the fact that it’s difficult is exactly what makes it so important. Responsibility is vital to the well-being of individuals, communities, and nations. And if we don’t take up the torch and pass it on, then who will? #3 here is what I’m confused about, not that Im not aware of people’s feelings, I never try to hurt anyone because that’s how I was raised and believe everyone should treat their neighbors as they would themselves, but yesterday I found out that the 20yo woman I was dating randomly started ghosting me and I can’t explain how much that hurt. I know I did everything right, treated her well, opened every door for her, even gave her my oxford shirt during a movie to keep her warm, had a great second date on her first picnic, she said she had never been treated that well by other guys she went out with and I told her she deserves better and meant it from my heart, then everything still went well and randomly I didn’t hear anything from her after we planned for a third date. I even called her work to make sure she was okay after a week of not hearing from her. I just don’t understand how a woman that was so kind and sweet that knows I care about her could do that, at least let someone know how you feel rather than make them wonder and hurt. In the meantime I just pray that God will help me be at ease and also pray for her as well and pray that the right woman for me will come along I guess in his time. I had a mildly similar experience with a girl I was actually dating. I absolutely loved her and she knew it, but past mistreatment by other guys led to a lot of bad coping behaviors that she used. One of those was to end our relationship, even though doing so hurt both of us. 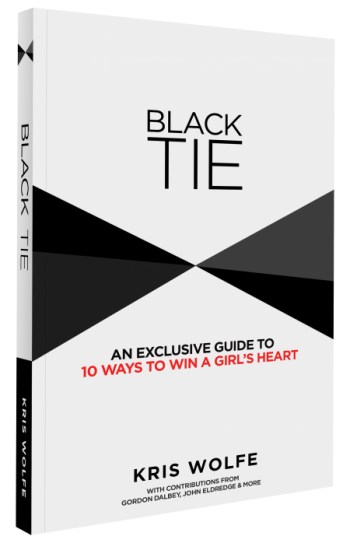 What I learned from that was that sometimes we can be the best men in the world and still some girls will reject us or leave us for that very reason. Because they feel undeserving or some other reason. In the end, cliche as it may sound, if you did your very best then that’s all there is to it. The unfortunate reality is that, while some of us operate from a desire to be the very best people we possibly can, not everyone is like that. So while you may be emotionally responsible and think about how what you do affects others, some people simply don’t think that far. And, a final comment, when we walk away positively like you’re trying to do. When we treat the women we care about with respect and do all the “right things,” even if we get burned for it, in the end it’s a reflection of who we as men are. And I believe that, eventually, that reflection will work to our benefit and we’ll find the women who will love us like we love them. 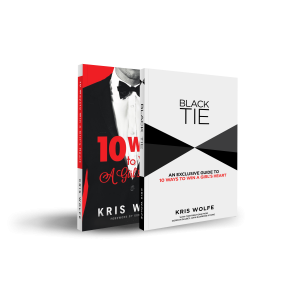 I definitely hope and pray that things work to your benefit, brother, and I know I can speak for Kris too when I say that we really appreciate your support of this site. Thanks for the reply Andrew it really helps a lot! Sorry to hear you had to go through something similar, but at the same time it helps to know that other guys have been through the same thing. The only thing that i wonder about and why it hurts so much for now is why she couldn’t have at least sent a text message ending things for whatever reason like maybe she isn’t ready for a serious relationship. I would think most people would be able to put themselves in the others shoes and think about it but I guess unfortunately sometimes that’s not the case. All it takes is one answer and that’s what hurts me, how you could respect and care about someone so much and they know it and really seemed like she liked it all then suddenly get no respect in return. What you said is so true, I think this is one reason guys seem like they don’t care anymore and then it spirals into everyone treating everyone wrong like revenge even if it’s a different person entirely. Some guys may come off from something like this or what you went through badly and decide “hey it’s not worth treating a woman like that anymore because they obviously don’t care” and being raised in a home in America with about a 50% divorce rate doesn’t help anyone either. It’s really unfortunate that it seems like it has come to that and then it seems like a lot of women don’t expect to be treated right and when they do find someone that treats them right this kind of thing may happen. This website that you guys that keep on pushing for and posting on here I believe at some point will push back on all of that because if everyone tells a friend about Goodguyswag.com and get one person on the right track then it would be a domino effect. Thank you again for your kind support and prayers it really means a lot and I’m going to keep staying true to what I believe and reinforce those beliefs even more and continue to work on myself and when the right girl comes along I will know for sure and it will all work out perfectly. Nothing hurts more than ghosting. It doesn’t make sense and I guess it never will, but I think your positive attitude and outlook will take you far. I remember when it happened to me post-college. The only silver lining I can see is that we don’t have to question it or ourselves. It’s a solid NO and we can move on. There are many fish in the sea and you will find the right one.